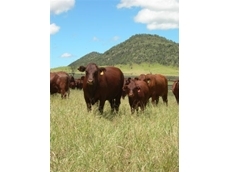 14/02/11 - Burnett and Louise Joyce have announced a rare opportunity for cattlemen to get their hands on good lines of Gyranda Santa Gertrudis breeding females. 05/02/10 - Gyranda currently have 62 pregnant cattle for sale, available for immediate purchase. 17/07/08 - O'Leary's Glenmore Farm specialises in commercial cattle breeding and offers Devon bullocks and Devon crossbreeds for sale.